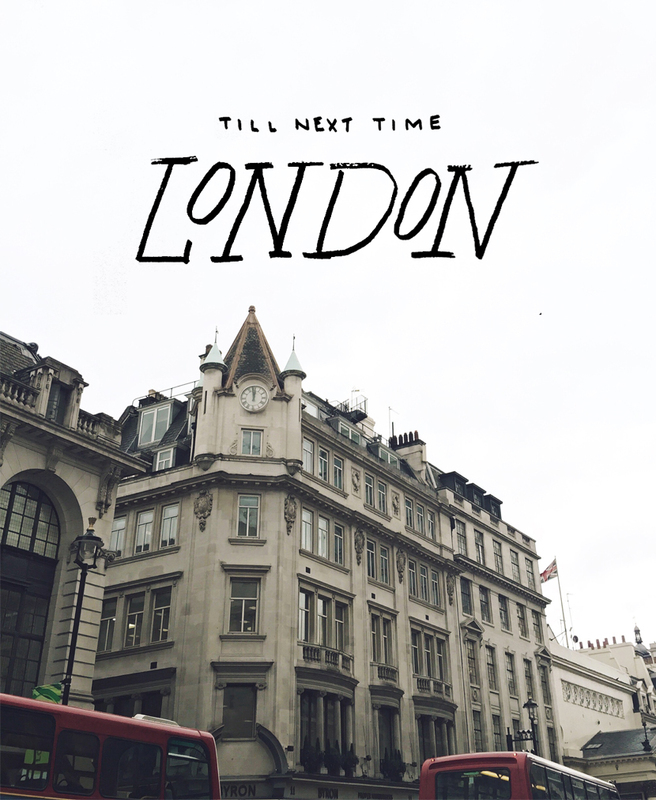 Tomorrow, we head back home from our ten days in London. I know we haven’t shared much here about the trip, but don’t you worry we have some content coming over the next few weeks. We wanted to spend this time focusing on being present and keeping it low stress. I love blogging while we travel, but it can be, as you would expect, quite tedious. We don’t claim to be superhuman and during this time more than ever don’t plan to try to be. Not writing now meant we will have more time to put into our content when we return, which sounds like a lot more fun to me. The last day of travel is always bittersweet isn’t it? I always have a love-hate relationship with it no matter how I felt about the trip. As someone who loves being home as much as I love traveling, I usually feel ready for my own bed since I have officially shaken the travel bug successfully out. This trip all together has been very different than others we have taken. I plan to write a whole post about tips and things I learned from traveling while pregnant because I found other people’s tips helpful, and then I learned even more tips while on the trip. I was fearful to take this trip for many reasons, which is not normal for me. I think it was all the unexpected things that could happen more than anything. This whole experience of being pregnant is new for both Mike and I. There is no predicting what your body will do and how it will react to certain things. So, this trip has been all about recognizing the unexpected could happen, but listening to my body and doing all the preventative things I can while knowing it will minimize my fears. Sure enough, it did. I learned that the stress of wondering was not worth it for anyone. I relaxed and enjoyed the process knowing I wasn’t in control, but that I was ready for. During our time in the city, we stayed outside of London in the Surrey area with some family. We mixed our time between spending it at their home relaxing and taking the train into the city. When we went in, we learned that we needed to be strategic. We would choose specific things we were going to do, restaurant options and locations in the neighborhood we were in, and our stops on the tube. This made it easier on me to minimize the amount of walking, stairs, and so on. We typically wander a city for hours enjoying the sites, getting lost, and getting to know it all. We tried that the first day and I felt pretty rough the next day. Thank goodness for hot showers and comfy beds. It was a good lesson to learn the first day. Each day I got better at learning my body and when we needed to find a pub or coffee shop to relax at. Sure, this time things were slower and different, but we loved it. We saw things we would most likely have missed, and we saw a part of England we may not have otherwise (Surrey) because we decided to stay with family. We spent time meeting so many people that our family knows and enjoyed dinner parties with them, classic home cooked meals, and learned so much about the culture of the area. We were able to see what it meant to live, work, and be from Britain and I wouldn’t have it any other way. Every trip has its lessons, growing points, and opportunities. This trip was all about navigating a new chapter in our lives, learning to travel in a new way, and finding ease in slowness. The slow pace has been the most important part. Knowing you don’t have to do it all not because you aren’t capable, but because you just don’t have to and shouldn’t. That has been an ongoing lesson since becoming pregnant, but experiencing it while traveling has been an even stronger lesson I am glad to have learned these last ten days. I have never thoroughly enjoyed a museum the way I enjoyed the Tate Modern. I have never found ease in enjoying a cafe meal for more than an hour. I have never made wandering gardens my only item on the agenda for a day. Life is full of things we can do, but understanding that sometimes and most times the less we do is, the more important decision than all the things we could do. I am looking forward to continuing growing in that understanding and taking a slower pace not just over these finally four months of pregnancy, but into the rest of life. We will have a full recap of things we did in London, a post on a weekend trip we took to Bath, more on traveling when pregnant, and a GIANT list of all the things everyone recommended for us to do. This trip was amazing, and I want each of you to have just as amazing of an experience as we did. We hope the lists will offer up new things to hit on your next visit or have a great list for your first trip. See all of you stateside and have a wonderful weekend. If you missed our photos thus far from London, just check out our Instagram. We will be latergramming this weekend as well, I am sure. I’m glad you enjoyed your trip and listened to your body. Sometimes taking it at a slowEr pace helps you appreciate a place more. Have a safe return and a wonderful weekend! I’M EXCITED TO HEAR MORE ABOUT THE TRIP! MY HUSBAND AND I JUST RECENTLY MOVED TO OXFORD SO WE’LL BE ENJOYING SOME FREQUENT TRIPS INTO LONDON – HOPEFULLY! WE ALSO INTEND TO GET TO BATH SO I’M EXCITED FOR THAT LIST OF RECOS! REALLY GLAD THAT YOU COULD TAKE A SLOWER PACE AND SOAK IN DIFFERENT ASPECTS OF THE TRIP. I’ve been loving your instagram photos of London so far, you’ve managed to capture it as the grand old city it is! You’re so lucky to have family in Surrey – it’s a beautiful countryside, I know the people who enjoy working in London most have this haven to come back to. Can’t wait to see more of your photos and hear about your experience in Bath! We will be posting this week about our trip so keep an eye out! So glad you have loved our instagrams!